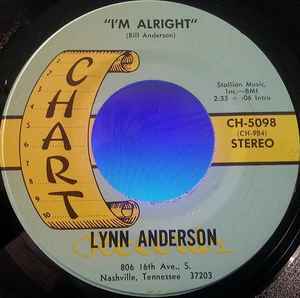 "I'm Alright" originally appeared on Lynn's 1969 LP "At Home With Lynn". The single version differs from the LP version in that a horn section was added to the single. The LP version does not have the horns.